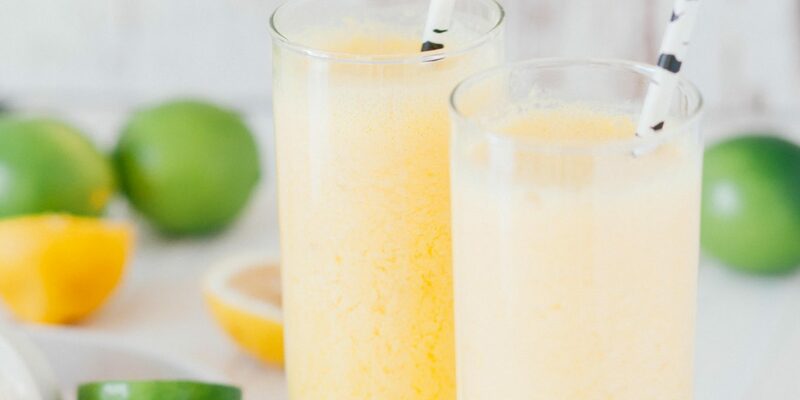 Lemon-Lime Julius is a twist on the delicious mall staple, Orange Julius that so many of us remember from our childhood. If you haven’t experienced the pleasure, the frothy, creamy treat is not as thick as a milkshake and too sweet to be considered a smoothie. If you travel with a blender, and really, who doesn’t; this an easy Florida dessert to make at any time, day or night. The original Orange Julius was created in 1929 when a Los Angeles orange juice stand owner Julius Freed began serving the drink for customer’s that couldn’t handle the acidic orange juice. The drink was a hit with people lining the streets yelling at him to “Give me an Orange, Julius!”. It continued to gain popularity and was even named the official drink of the 1964 New York World’s Fair. Our version is slightly more citrus-y with the inclusion of fresh lemon and lime but will have your family yelling for another. Place all ingredients in a blender and puree until smooth and frothy. Pour the Julius into chilled glasses, if available, and garnish with a twist of lemon and lime peel. Enjoy!